After a long hiatus from the online DVD rental game, my wife and I signed up for a Netflix trial and became subscribers again. Why? Because they offer the best value of all the online DVD rental companies and make a great substitute for renting movies from a brick and mortar store, buying movies, subscribing to premium movie channels, or even dropping cable or satellite TV altogether. If you are are looking to try Netflix, you can visit Netflix to start your free trial today. Can You Save Money With Netflix? As I’m sure you already know, Netflix pioneered the DVD rental by mail business with unlimited DVD rentals and no late fees. Netflix now offers several new features and price packages which make their plans a better deal than ever. Perhaps the most unique feature is the ability to rent DVDs via mail or stream movies over the internet. Netflix started with the mail-order business, paying the shipping both ways. But the streaming option is by far the more popular method today. In fact, Netflix doesn’t push the physical DVD/Blu-Ray version on their home page. Customers need to visit https://dvd.netflix.com/ to sign up for the mail order DVD/Blu-Ray plan. Netflix is easy to use – simply sign up for an account and start adding movies, documentaries, and TV episodes to your movie queue. The software will suggest movies and shows based on your preferences. If you have the streaming plan, you can watch movies right away on your computer, tablet, or phone. The streaming video option is unlimited, but there are different levels that you can join. The base level only allows you to watch Netflix on one screen at a time and doesn’t offer HD video. So this is a better plan for individuals or those who don’t mind not having HD video (or don’t have the Internet speed to support it). The next plan up allows members to watch Netflix on two screens at a time and offers HD video (better for families). The top-level plan offers viewing on up to 4 screens at a time and Ultra HD video. If you choose the mail order version, then you will receive movies in the order they are selected, and you can make changes at any time. You pay a monthly fee based on the number of disks you want to rent at a time, with free shipping both ways, and no late fees. Netflix offers several price options, all but one of which are unlimited plans, which offer you unlimited DVDs sent to your home and unlimited online movie rentals via streaming. Online movie streaming. Movie streaming is one of the best “new” features to Netflix. I say “new,” but it has been around for a while now, just not since I last used Netflix. You will need a fast internet connection to truly enjoy the movie streaming, otherwise the picture and sound may be choppy. But that would more likely be due to the connection, and not from the Netflix side of the house. A great feature with online video streaming is the ability to pause, rewind, fast forward, and pick up where you left off. The $8.99 monthly price plan features unlimited online movie streaming, which is an excellent deal if you watch a lot of movies. The biggest downside to the online video streaming is the limited number of online movie choices, as not all new releases are available for video streaming (however, the selection of TV shows, documentaries, and other media is excellent). When used in conjunction with the DVDs by mail and your queue, you can make sure you’ve got great movies any time you want them. Video game console integration and Netflix players. Most of the recent gaming systems offer streaming video through Netflix and some other streaming video services. These include the more recent versions of the Microsoft Xbox, Sony PlayStation 3 and up, and others. You can also stream online movie rentals through TiVo, a Roku player, which plays movies from Netflix and Amazon Video On Demand, through some Blu-Ray players, or directly through your computer or TV if it is connected to the internet. Blu-ray movies. Netflix offers a wide range of Blu-ray movies, and they are constantly adding more Blu-rays to their library. That’s good news if you have a Blu-ray player. More distribution centers than the competition. Netflix has several distribution centers throughout the US, which minimizes the time it takes to process and mail your movies. So you should have a better turn around time, resulting in more movie rentals per month. As a side note, some DVD companies have admitted to throttling, which is limiting the number of new DVD releases or premium rentals their top users receive in any given month, but I have never experienced this. Movie recommendations, reviews, and community. The Netflix software will automatically suggest movies based on your past movie rentals, and you can read ratings and reviews of each movie before adding it to your queue. The Netflix community allows you to share movie lists with other members, exchange e-mails, etc. Vacation plan. You can put your subscription on vacation hold while you are away so you don’t pay for a service you aren’t going to use. (Note: Netflix has changed how they allow subscribers to hold their subscription – members need to actually cancel their subscription but can subscribe again within 3 months without losing their information, including billing information, password, movie queue, and movie ratings). No commitment. Netflix does not require an annual commitment – simply pay month to month and quit at any time. Netflix pricing is actually very reasonable if you subscribe to the lower level plans, but it can get a little expensive with the higher tier plans. But let’s face it – with unlimited online streaming, most people won’t need to elect the higher plans if they have the components in place to stream online movies. Here is a chart with the Netflix pricing plans. *Blu-ray movies price plans. Netflix offers Blu-Ray movies for an added fee. The Netflix Blu-ray inventory is continually growing, which is good news for those of you who prefer HD movies. We chose Netflix for its convenience and variety of features. The main competitors fall in 3 categories: brick and mortar video rental stores (a rarity these days), other online streaming services like Hulu, and one day DVD rentals from a kiosk (like RedBox). Brick and Mortar: Netflix is hands down the winner – unlimited DVD rentals for less than the price of 2 rentals at a store, plus the ability to set movies in a queue and stream movies online. Online DVD rentals: Netflix offers a wider variety of movie selections and online video streaming, and GameFly offers both movie and video game rental. DVD from a box: RedBox and others offer DVDs for about $1 or $2 a day, but they are usually limited to new releases and a few select classics. I would only use these as a supplement to Netflix if the movie I want is buried in my queue and it might take a while before I receive it. Otherwise, the selection and online movie streaming make Netflix a clear winner. If you subscribe to multiple premium movie channels for the movies and not for their exclusive content, then absolutely. If you rent multiple movies each month, then the answer is also yes. You can also save money if you are the type of person who buys several movies each month, watches them once, then doesn’t watch them again for several months, if ever. The key to saving money with Netflix is to change those old habits and drop the extra movie channels, stop renting from the store, and stop buying movies you won’t watch often. You probably won’t save money if you only watch a couple of movies each month, or prefer to borrow movies from the library, regardless of which movies are available (I fell into this last category for a long time; it was great to catch up on movies I had missed, but I was missing out on all the new releases!). I’m not really saving money with Netflix because we used the library for a long time, but this is a small luxury I am willing to pay for. 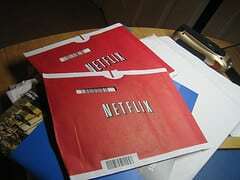 Netflix offers new customers a free one month trial to their service. If you like it, then you continue with the pricing plan you signed up for and get to watch movies at your leisure. If you decide it’s not for you, then you can cancel at any time within the free trial period and you won’t be charged. All you do is visit Netflix today. While the most popular, Netflix isn’t the only streaming option. Hulu, HBO Go, and the newly announced Disney Plus are few other choices consumers currently have. Each offers their unique perspective on streaming. Netflix has the most robust offering of original shows, Hulu offers TV shows very soon after they appear on air, HBO Go offers several critically-acclaimed original shows, while Disney Plus offers timeless Disney classics. None are very expensive, so a combination of a couple (or, all) of these options isn’t unrealistic. No doubt about Netflix but I am concerned about the online privacy. One can get all the movies online using torrents and thus other services and getting a big hit. Marcia, I’ve never heard any concerns regarding Netflix and security or privacy. However, I an not an expert in that field and will recommend contacting Netflix customer service with any concerns. Regarding downloading and streaming movies from non-official sites, yes, there may be a concern, and some of the sites are illegal. So exercise caution. We love our Netflix subscription! My wife and I often don’t have time to watch good shows or get out to the movies much (3 kids will do that), but with Netflix we get to catch up on whole seasons of shows and get to watch movies at our pace. And save money – taking a family to the movie theater is expensive! True! And babysitting could be even more if I just wanted to go with the Mrs! Put the kids to sleep, grab a pint of ice cream, and pop in the Netflix – that’s how we do it around here! I love Netflix, as a movie buff I try to get 4 movies a month. Paying for that normally would cost a lot or buying the dvds would be expensive. They have a huge collection and I am always finding new movies to check out. Now that they partnered with PS3 it makes viewing streaming movies even better. It’s worth the price for me. I don’t really watch movies… I find watching online streaming sites better. I have a PS3 and recently received the streaming disc. I find it to be much more enjoyable than having to watch them on my computer screen. I’ve never tried the service on the XBox (since I don’t have one) but I was pleasantly surprised to see that the image quality is very good. We are converts from Blockbuster Total Access. Now that we can stream through the Xbox, we barely even use the regular DVDs by mail. We currently have the 2-at-a-time plan for $15 but I think we’ll probably go down to just 1 at a time, so we’ll save even more when we’re paying only $8.99. It’s a pretty great deal. It’s terrific to not even have to go to a Blockbuster to get a new movie to watch. It is also great if friends come over. Then we can let them page through the offerings until they find something they like. One thing many people may find is they substitute DVD viewing for some other activities because of how easy and rewarding (good recommendations) it is. If this is true the savings would have to factor in the substitution. If you you substitute for costly activities you can save money. I might just completely cancel. Nothing against NF. **On another note, did you guys read the news from Boston, Mass a couple of weeks ago about a postal worker who stole over 3000 NF disc from the mail he deliverered. So, if you did not receive any of your orders lately, guess where it may be. Postal worker was fired and now in deep kimchee. Enjoy your NF movies!! Do you have to receive dvds, or does NF send the dvds without a choice of not receiving them. I would rather stream movies than deal with the hassle of dvds. Couchtater, The plan comes with both options, but I don’t see why you can’t just never order the DVDs, and only use the streaming. Just keep in mind that the streaming has fewer titles than the DVDs. But it’s still a good idea if that is all you want. NF’s DVDs by mail is convenient. And streaming is another venue to view movies in addition to DVDs by mail that NF allows customers to do at no cost to them except for the monthly subscription fees that they already pay. Question i have no devices, How can i stream movies every day from Netflix. Wish to use streaming of movies to my tv. Would standard Blue Ray Player word for regular DVD,s and Blue Ray DVD,s to watch when wish to bring movie up. Thanks. William, there are several Blu-ray players which allow you to easily stream Netflix movies via an Internet connection. I’ve seen players with this feature for less than $100. THere are several other ways you can stream Netflix movies, such as a Roku player, Boxee, PlayStation 3, X-Box, and a few other methods. I have had a Netflix account for several years now, both streaming and rental, and have, up to this point, been very satisfied. That being said, I have become increasingly concerned over the past year as I watch movies that should still be available being dropped to the “we have no idea when this movie may ever be available again” limbo of death at the bottom of my DVD queue. It appears to me as if Netflix does not intend to replace movies that have been lost or stolen by their customers. It has nearly gotten to the point where having the mail order rental service is cost prohibitive as the only reason that I still maintain that account is because they have had a larger selection of titles than I can find at any of our local rental stores. Soon, I fear that I will be dropping my rental account completely as the movies I want to see are no longer available. Just talked to Netflix customer service and was told Netflix DOES NOT offer a combined streaming AND mail DVD option. They told me they two separate divisions, so subscribers must pay a separate monthly fee for each service (eg around $8/month for unlimited non HD streaming one screen) AND about anither $8/month for one DVD at a time). The Netflix pricing chart in the above article seems to show combined streaming/dvd plans thst Netflix just told me do not exist. Clarification, please. Thank you for revising your original article’s chart of the DVD service by removing the streaming service. Your article now seems consistent with what Netflix customer service just told me. Hi…just noticed lots of new movies available on Netflix On Demand but are not included in my online subscription. What’s the deal? Since November 2018 dvd deliveries have slowed. It now takes an average of six days turn around when dvd is returned direct to post office. 1/2 the product for the same price. I asked why and was given a multitude of excuses but no solutions or accountability. After many years of streaming and dvd rentals I have closed my dvd account. Red box is just plain cheaper now. Netflix is not unlimited. If you get more dvd’s than they like per month they move your servicing city farther and farther away until the most you can get is what they like. For years my “nearest facility” was 2 hrs away and I was getting 8-9 dvd per month. Not the “nearest facility” is 5 states away and I get 5. They have enough customers to do what they want. no competition on rental.